Good evening, everyone! As I mentioned in an earlier post, my family will be heading out for our "last hurrah before school starts" weekend. So, before we go, I am busting some wax in case I don't bust any while we are away. Look, it makes sense in my head, and you get cards, so enjoy the ride. Almost a Perfect Pack, but there's just one flub that ends it. Congrats to the managers with hit and Dawgbones with a couple! Man, those purple cards a very cool! 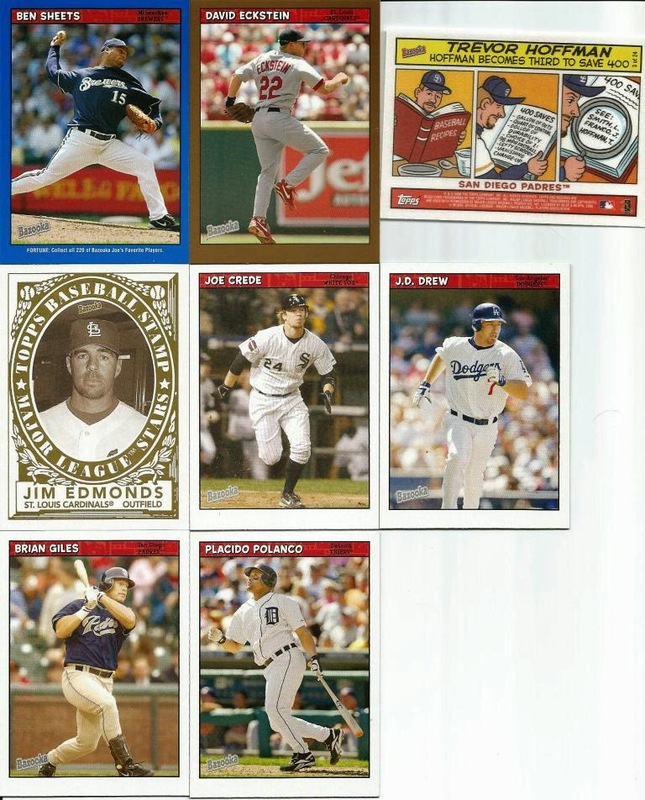 I still wish Topps had done an embossed set like they did in '65. Ah well. Congrats, managers! 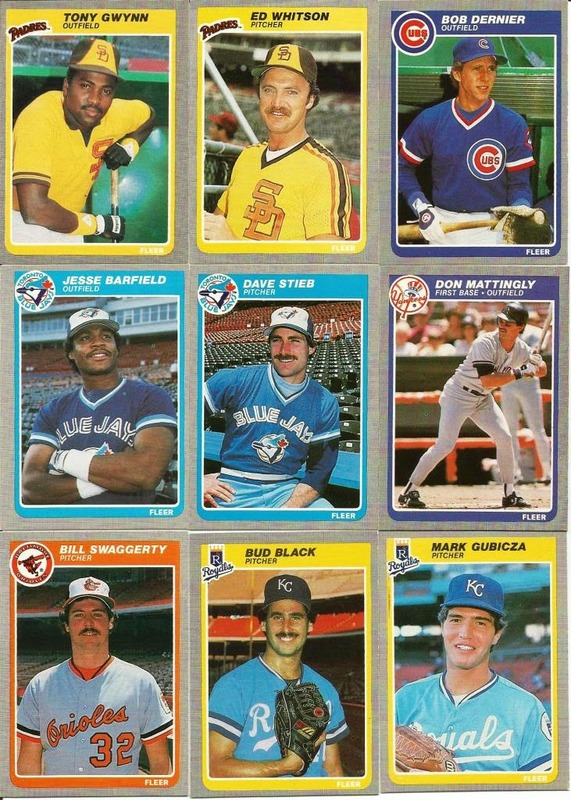 You ended up with some nice cards for your collections! Hey, everyone! 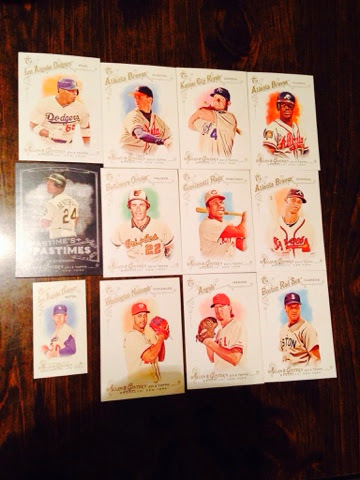 Here are pics of the manager hits from the Crackinwax prize box from the other day! When I got home on Monday, there was a H-U-G-E box on my deck from Crackin Wax! My "crapload of stuff (his words, not mine)" had arrived!! I decided to do a video break and that video (as I write this) is currently being finalized and will be uploaded to Youtube. Once it is done. I will post it on Tribecards for all to see. In the meantime, I am posting the list of cards I received in the box. 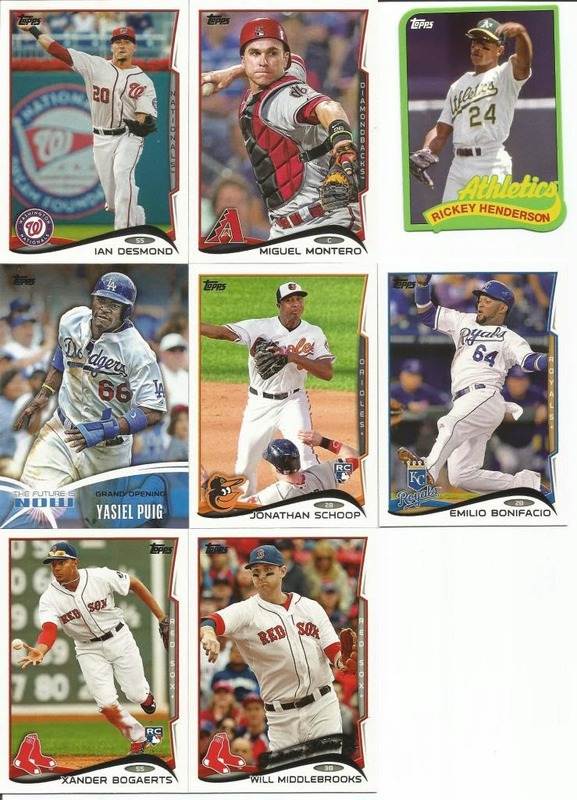 These came by way of "Gold Wrapper" packs from Sports Card Album, some cards loaded in toploaders and cards busted from a blaster of 2014 A&G. These are not in the same order as the video nor are they in any particular order. Seriously, some of you are going to flip out. You've been warned. *I have yet to decide if certain cards will be drafted by their "group" (Ex: The Personalities) or by the individual card. Knowing me, it will be the latter, but I have to think on that a bit. 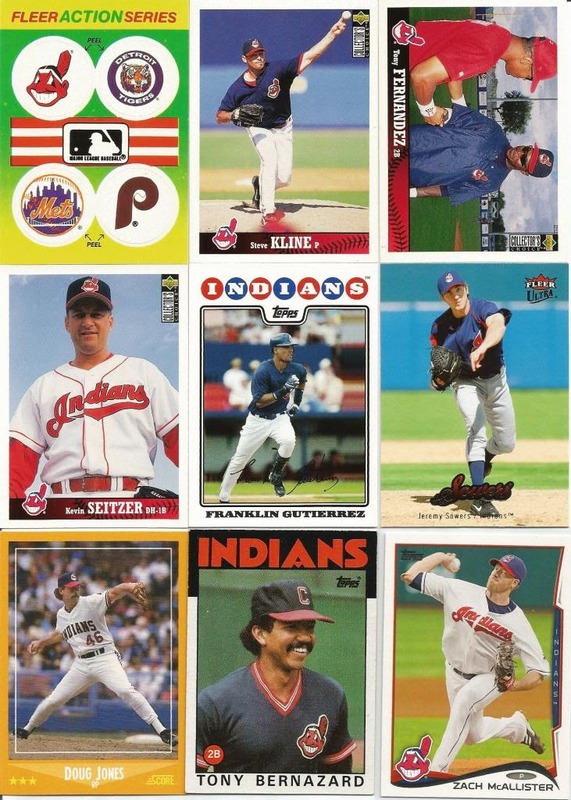 We do have precedent in that Kate Hudson, logo cards, and team cards were/are all drafted individually. I dunno. Congratulations, managers!! There were some incredible cards in this prize package! A H-U-G-E thanks to Topher and CrackinWax for the prize, but mostly for helping raise money for charity through the hobby!! Everything listed above just a small portion of the massive box sent to me. As mentioned above, I will post the video break of the prize box as soon as I can. This was a lot of fun!! 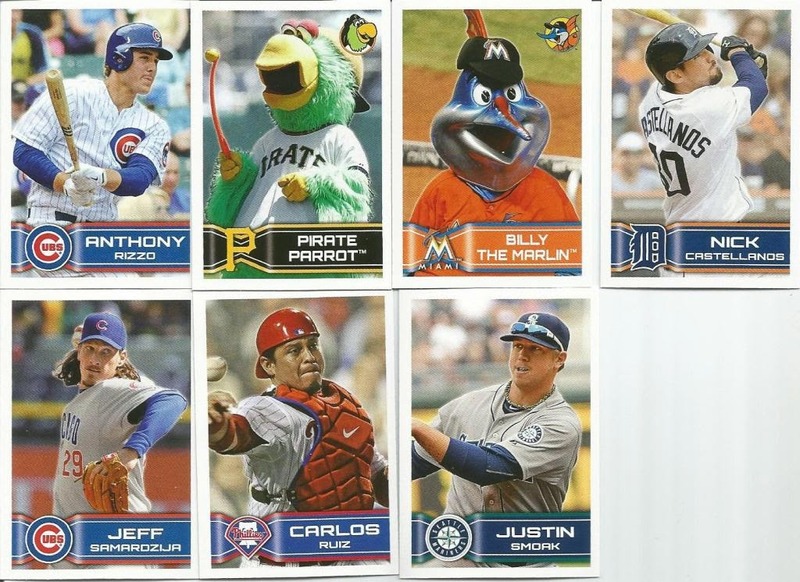 Scans of all manager hits will be posted later. In the meantime, here's a little something to whet your appetite! Hey, everyone! I hope you are enjoying your Saturday! My daughter had a belated birthday sleepover with six of her friends, so I spent most of the night in my home office. From the sounds of things, they had a great time. This morning, I updated the Managers/Players list - FINALLY! We had a lot of players not in the OOTP system, so I had to create them (especially team cards, mascots, etc). 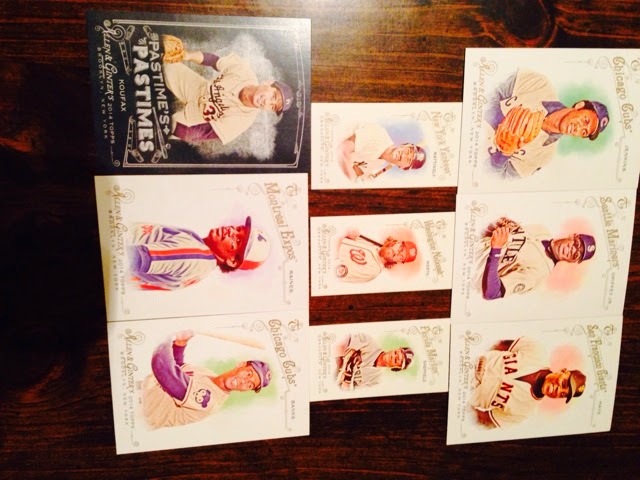 I can't imagine what Allen & Ginter is going to do to our game! Haha! I need to go through the "Trading Block" page and see what updates should be made there. I had planned to send out the first half of the season's cards by now, but that hasn't happened. 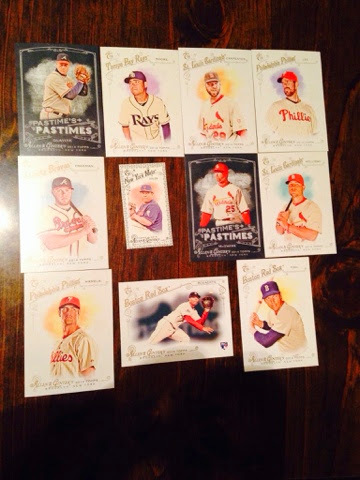 And, yes, I still have cards from LAST season's break to send out as well. I may have to take a day off from work to get those done. Oh, i will be sending out this week's draft later tonight as well - WOW, another HUGE pile! 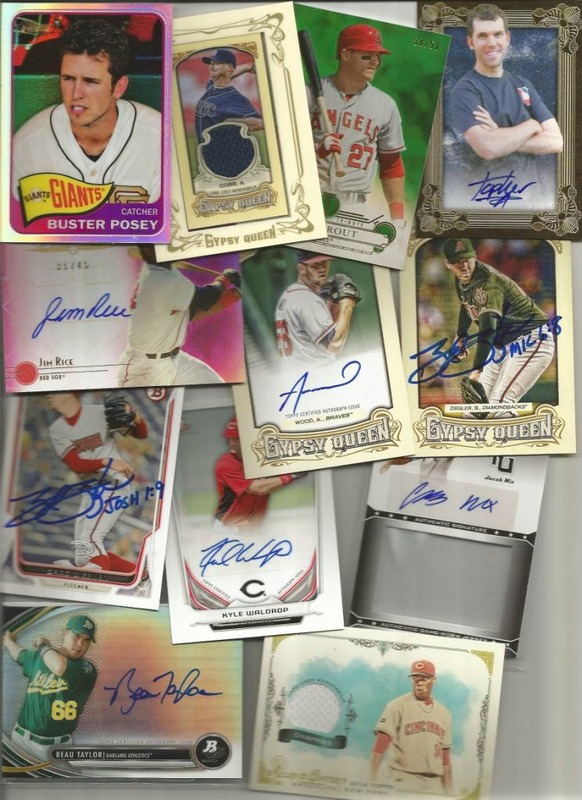 Well, since the list is updated and it is Saturday, I say we bust a Fat Pack! 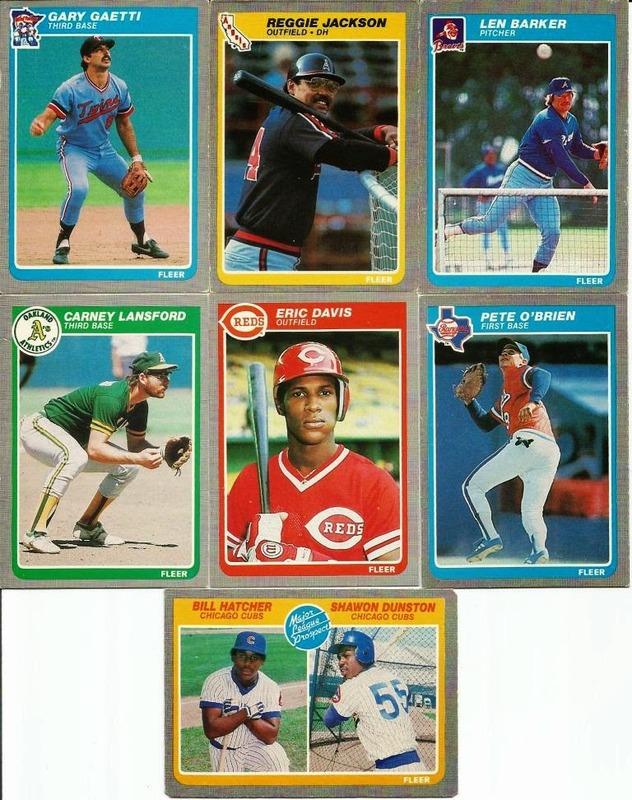 This is a piece of copy paper with "1985 Fleer Fat Pack" written on it. It was sent to us from one of our managers, and I apologize for not remembering who sent it! UGH! 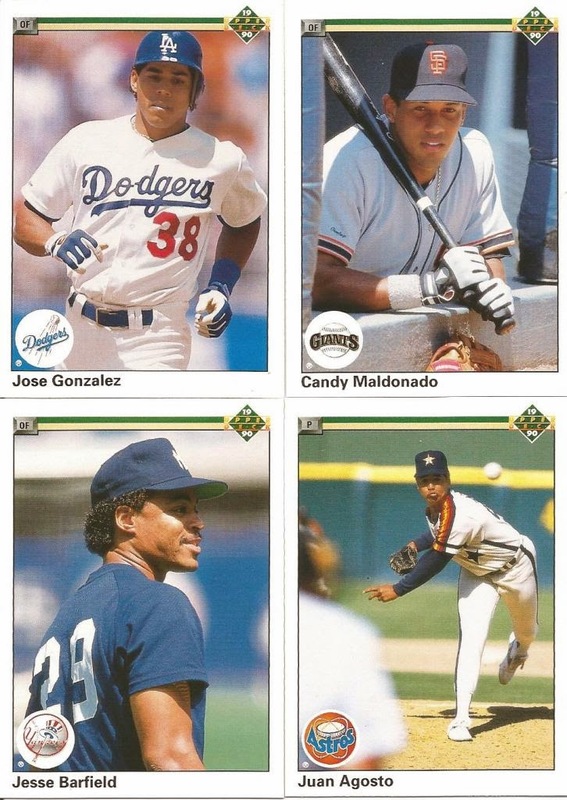 For the record, these were revealed in the order they appeared in the "Fat Pack." They were organized by team, which I though was a cool way to do that! Can you believe we had Gwynn and Jackson in there!? That is freaking awesome!! This was a great trip back in time for me. Thanks again to the manager that sent it to us to open. Congratulations to all the managers who got hits, especially those pulling multiple hits from here. The free agents *WILL* appear in this week's draft! Get you copy/paste fingers ready, folks. I was actually afraid we were going to have a hitless pack. I don't even know if I have a name for that. Luckily, the Dayfs broke the hitless streak and then the Arpsmiths, Kazis, and Maddings came through in the clutch to keep us rolling. The rest of us? Well, we just whiffed this pack. Stings a little. I had a surprise waiting for me when I got home: a box from BCs. Inside the box is a fat pack of 2012 Topps Series Two and a regular pack of 2012 Topps Series One. In addition, he sent a stack of "redemption" cards! 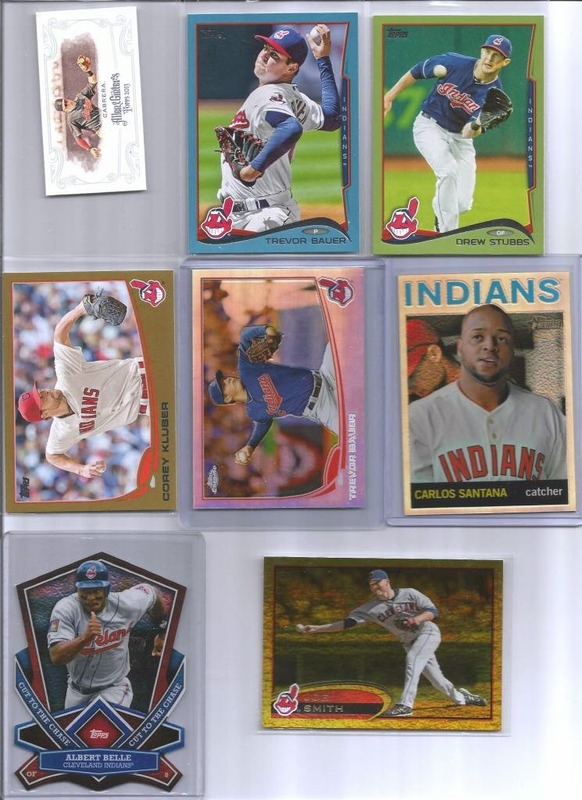 The note reads, "Tribecards Redemption Pack for all that you've given away." That is so cool! Thank you so much!! Check out the logo stickers and other cards on top. That is a great representation of various years, makes, and models. The second picture has lots of goodies in there! I am anxious to see how many of these will be new additions to my collection! THANK YOU so much for the packs and the cards!! This was a great treat to come home to. For those too anxious to poke around the site, here are the current standings: NOTE: Teams do *NOT* have players drafted in the 07/17/2014 draft. I have not added those to the game yet, but will be before the next simulation! As you can see, the Workmans and BoRosnys are the only two teams really fighting for first place in their division. In others, well, it seems to be pretty one-sided. Those of us not in first place have a long road ahead and a very short time to get there. Let's open a pack of cards and see if that helps out. Hey, Desmond turns out to be lucky for me! 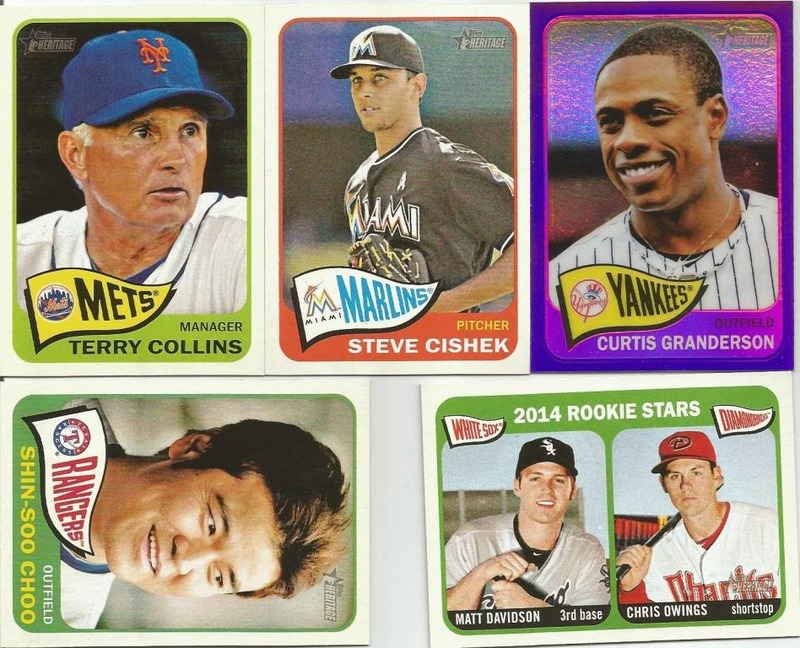 Even more luck goes to the Workmans and FDNYs for scoring two hits each in this pack. The real hit is the Henderson die cut. Man, that is one very cool card! Congrats to all the managers who added cards to their collections here today.